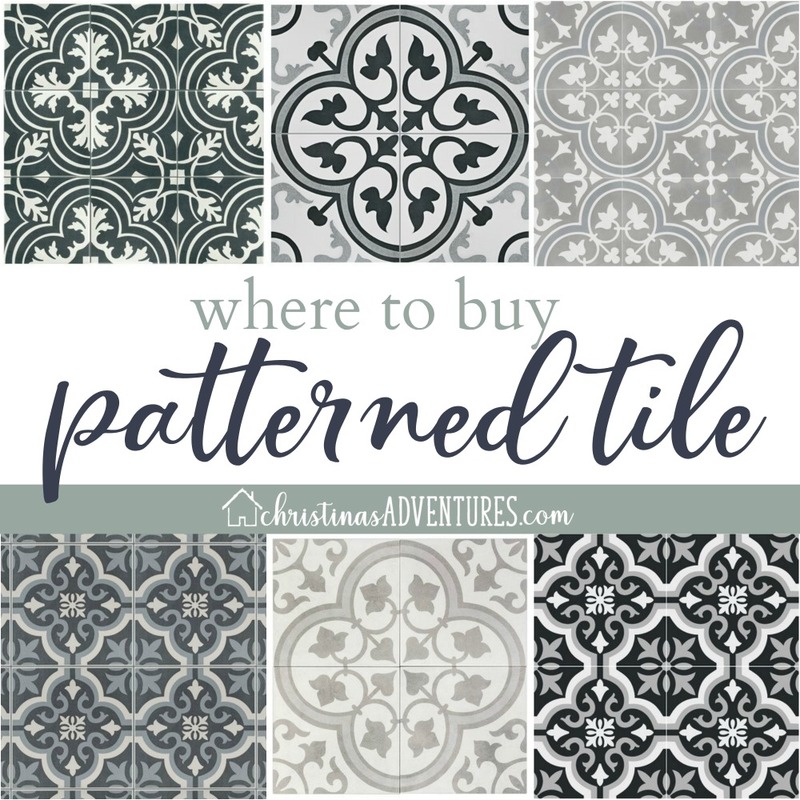 Patterned tile is trending in a big way, and I’m showing you the best places to buy patterned tile online for the best prices. Affiliate links included for your convenience. One of my most popular posts has been the one where we talked about our affordable shower tile design. 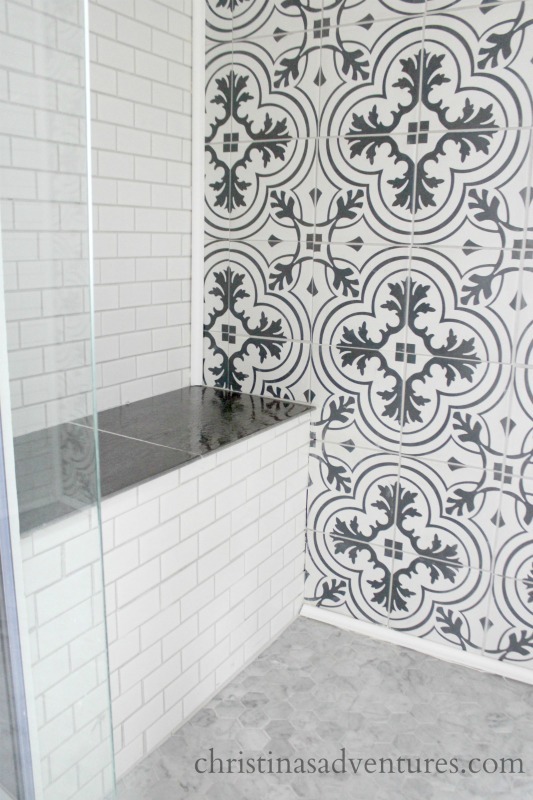 We used black and white patterned tile as a large accent wall in the back of our shower, and I. LOVE. IT. You can buy patterned tile in stores, but often times you can get an even better deal online. AND I am slightly obsessed with reading reviews. I have only linked the tiles with great reviews on here – make sure you read through them too before purchasing! I love patterned tiles on walls AND floors – they provide welcome contrast, pattern, and visual interest to any space! 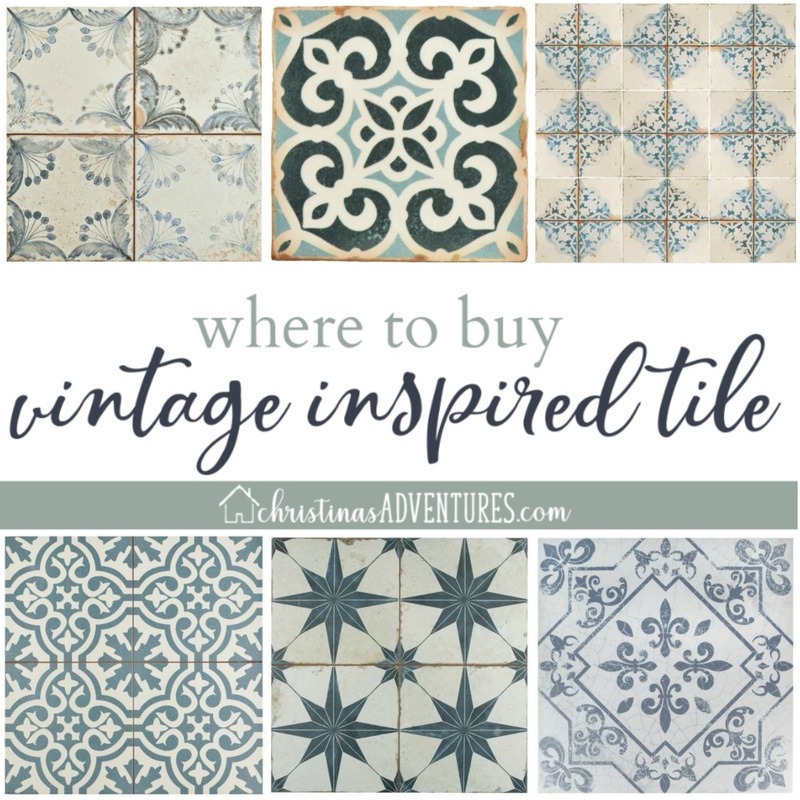 Now if you’re looking to add a vintage feel to your space, there are some STUNNING unique tile options. These tiles would add so much character to any home! Just a note – we realized that our cement tiles needed to be sealed before we grouted them. Make sure you read my post here so you can see where we went wrong, and how we fixed it! And please click here to see how the black and white patterned tile looks in our shower. I paired it with marble hex tiles on the floor and small scale subway tiles – it was all done on a modest budget and we are so happy with how it all came together! Adding patterned tile to your home is a great way to add character – I’ve even written a whole ebook on how to add character to any home! Sign up below to get it for FREE!